Every ambitious player wants to have a destructive weapon in his arsenal. The weapon which gives you an advantage and allows you to sweep enemies from the battlefield, quickly and finally, like a powerful tornado. 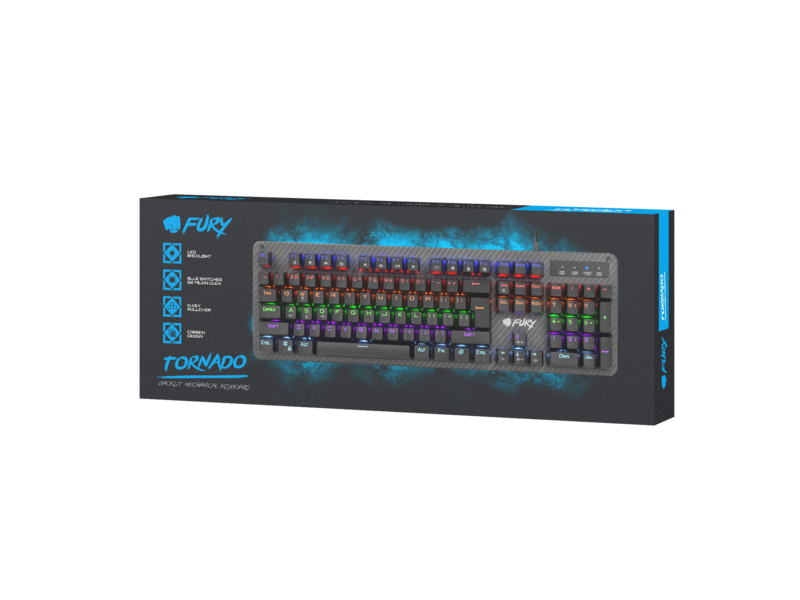 With the Fury Tornado keyboard you can easily make dreams come true, because it has huge destructive potential and lots of useful features that will give you an advantage over your opponents. Mechanical switches, quick response, N-key Rollover, effective RGB backlight and carbon fiber coating are the main advantages of the Fury Tornado. 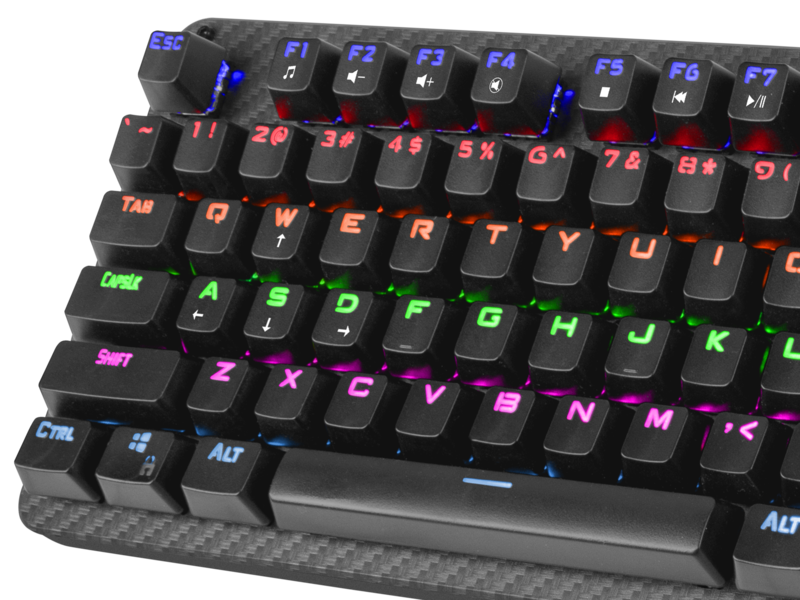 Mechanical keyboard is a dream of most players, because it is provide quicker response and better durability than standard membrane keyboard. Mechanical switches with a life span up to 50 million clicks and 8 ms response time give you an advantage over your opponents and allow you to play more quickly. Blue switches with a pressure of 55 grams are also characterized by a classic click after activating the trigger. This function allows you to press any number of keys at once, without fear that any of them will not be registered. As a result, the player no need to worry that the keyboard will not execute the command at a crucial moment. Tornado is equipped with damage-resistant housing that can withstand intensive use without any problems. Another proof of increased durability are key caps made in the "Double Injection" technology, which guarantee a lifetime letter resistance against abrasion. Rubber feet in the bottom part and on foldable feet prevent the keyboard from moving on the desk. Function keys are very helpful during the game, so the keyboard for players must have as many as possible. 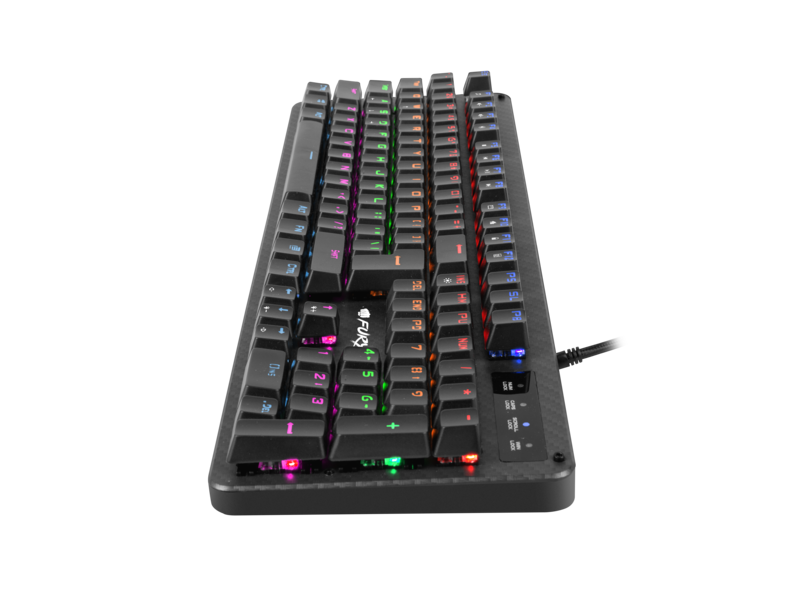 The Tornado keyboard offers several useful functions that allows you to control multimedia by using 12 function keys (F1 to F12) or change the arrow keys with the WASD keys, which is very useful in racing games. Another interesting feature is Windows key lock, which make switch you to the main Windows menu at the wrong moment after accidental pressing. The convenience during playing is important same as the functionality. 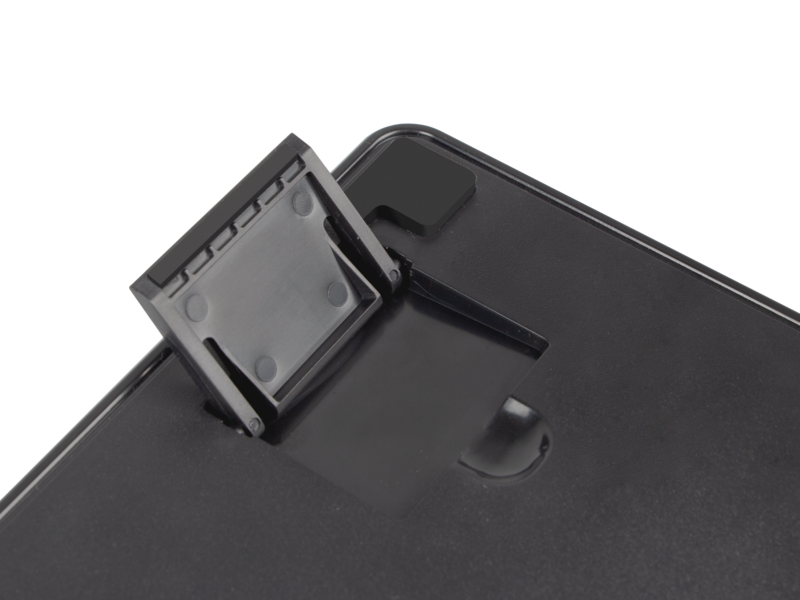 That’s why the Tornado keyboard is equipped with several solutions which improving comfort of use. Features such as foldable feet, ergonomically shaped key caps, smooth moving of keys and backlight. 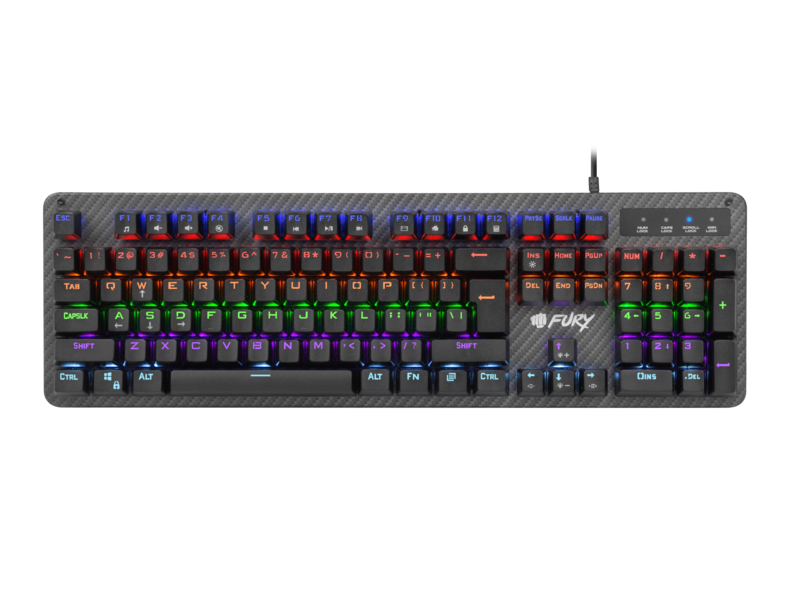 The keyboard has a spectacular rainbow backlight in RGB style with the possibility of setting one of 10 modes and three levels of brightness (33%, 66% and 100%) or completely turning it off. Now even evening playing will become easier and more effective. The convenience of the game is just as important as the functionality. Tornado has been equipped with solutions such as: double injection or folding legs. 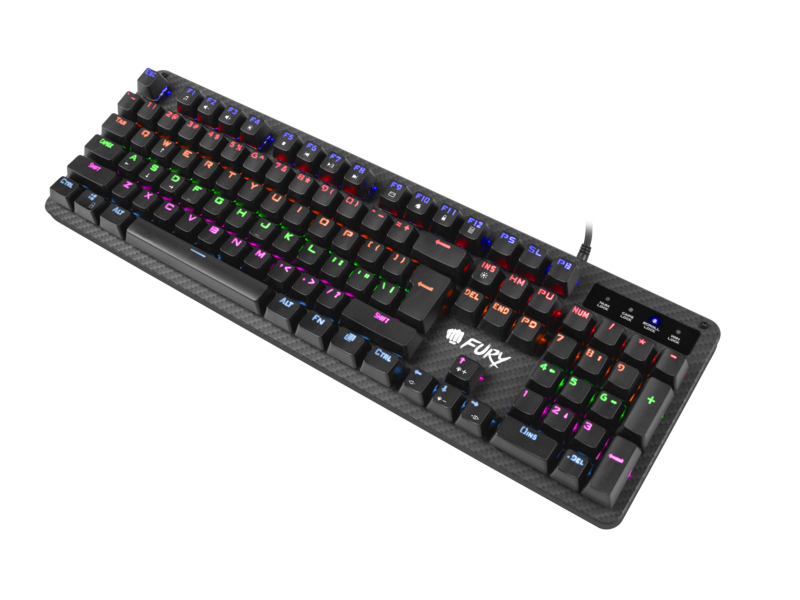 The keyboard also has a multi-colored backlight with the possibility of setting one of three levels of brightness (33%, 66% and 100%) and the option of turning off the backlight completely. Now even an evening game will be a pleasure for us.